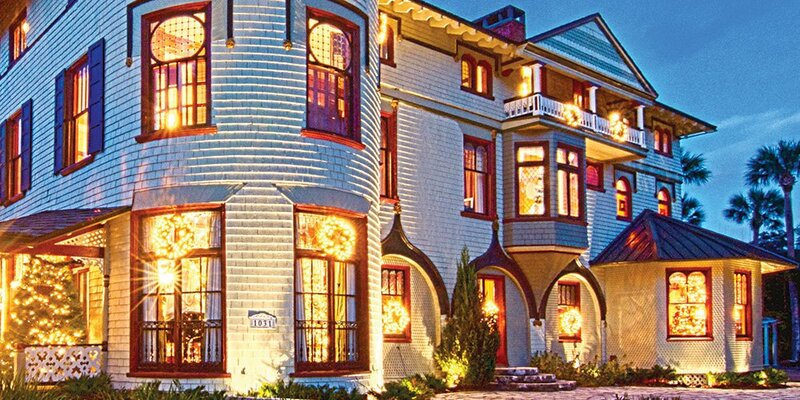 Historic homes have the charm and and the tale of history of their era. Not only do they give us a glimpse to the past, they shed light on who the owners were and their contribution to society. A tour of a historic home is intimate and moving. Florida has many opportunities for such experiences. 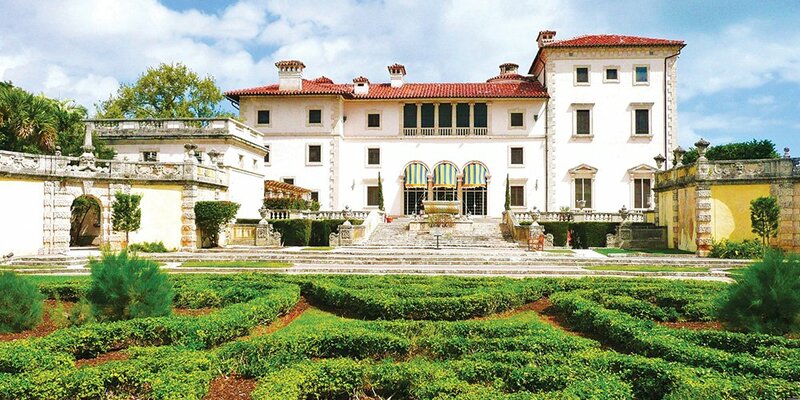 Here are 10 historic homes throughout Florida that should be on your "must visit" list. Being a reflection of its original owner James Deering’s passion for different historical periods, Villa Vizcaya is a like an imposing snow globe, filled with culture, art, Biscayne Bay’s turquoise backdrop and Coconut Grove’s tropical landscape instead of snow. In that spirit, every room was designed around a different piece of furniture, paneling or architectural element. The villa was never conceived as just a house – with Deering’s money and artistic director Paul Chalfin’s imagination and flair, Villa Vizcaya was a visionary and highly ambitious project from the get-go, which took over a decade to become reality, from 1910 to 1922. The first time Deering officially enjoyed a sun-bathed winter day in his grand estate was in 1916 on Christmas Day, and from then until his death in 1925, Villa Vizcaya always greeted him for a different kind of winter experience. Even though it is inspired by a centuries-old Italian country villa and packs an eclectic mix of art and architecture, Villa Vizcaya’s cultural aspect didn’t come at the cost of the practical one, and technology, innovative for its time, interlaces all this refined taste with comfort. With the expertise of a building and a landscape architect, Villa Vizcaya was realized as a multi-dimensional work of art. As a museum, Villa Vizcaya features 34 decorated rooms and over 2,500 art objects and furnishing, an orchid collection, spectacular formal gardens, and 25 acres of forest. The villa was designated a National Historic Landmark in 1995. The Whitehall, Henry Flagler’s Palm Beach home, is perhaps the ultimate testament to love as it was built as a wedding gift to his wife. In 1902, when the marvelous estate was completed, the New York Herald described it as “More wonderful than any palace in Europe, grander and more magnificent than any other private dwelling in the world…”, and they probably would stand by their words even today. But the Whitehall is not just a reflection of Flagler’s love for his wife, but of his love for beauty and grandeur altogether. Because he is the man behind the Over-Sea Railroad, the extension of the Florida East Coast Railway to Key West, which many consider to be a construction of political and commercial importance second only to the Panama Canal. 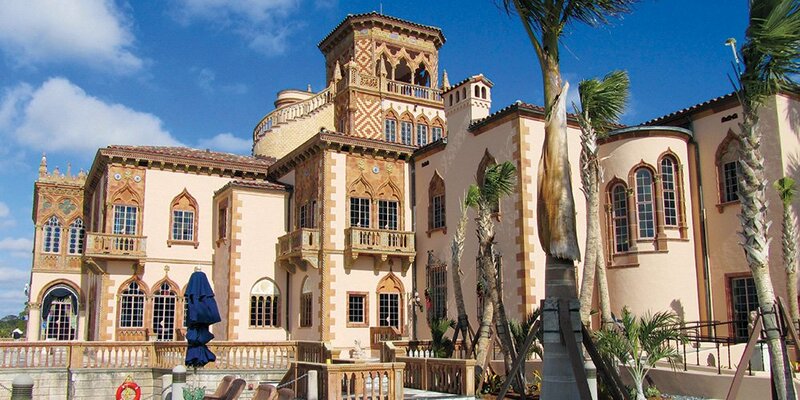 Flagler was never one to settle for mediocrity, and in that spirit, the mansion encompasses styles, as glamorous as the ones of Louis XIV, Louis XV, Louis XVI, the Italian Renaissance, and Francis I. After some complicated history, the Henry Flagler Museum, in all its majesty, has been opened to the public since 1960, with Flagler’s private Railcar No.91, the railcar he made the celebratory travel with along the Over-Sea Railroad, on exhibit in the Flagler Kenan Pavilion. 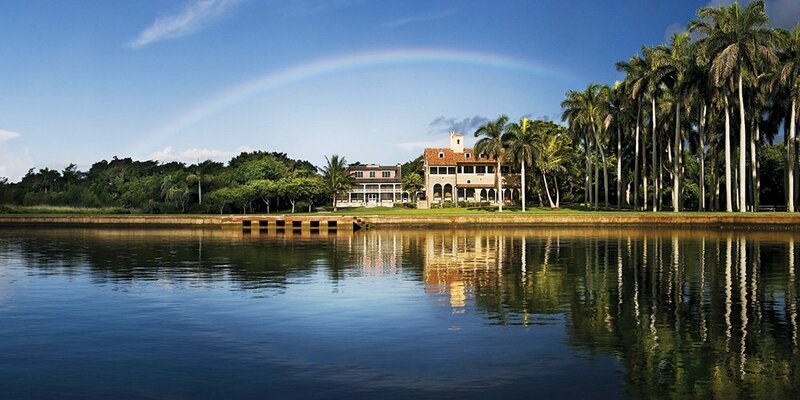 The 1920s Miami Deering Estate preserves the legacy of Charles Deering, James Deering’s older brother and a man of many hats: Chicago industrialist, early preservationist, environmentalist, art collector, philanthropist, and first chairman of the International Harvester Company. 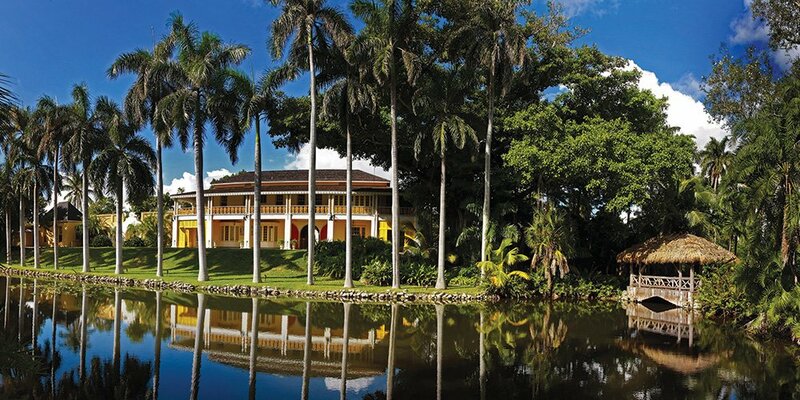 The estate serves as a starting point of many cultural activities and agendas and thus enriches the South Dade community’s present while safeguarding its past. 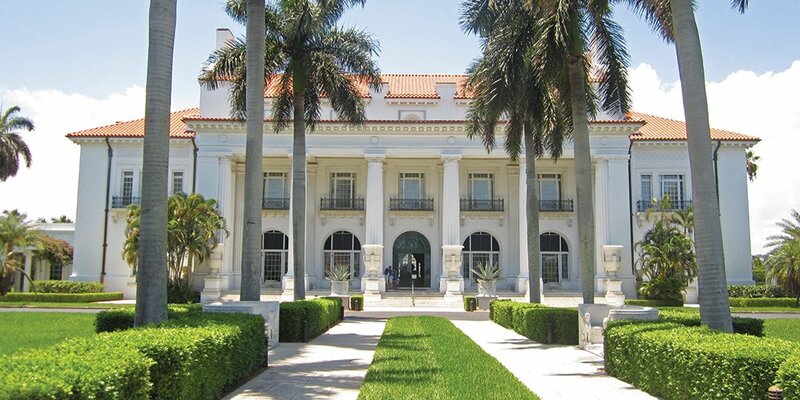 Located along the edge of Biscayne Bay, the estate offers a wide range of experiences, such as daily tours of historic homes, nature hikes, fossil pre-historic tools examinations, and an array of educational programs and classes. 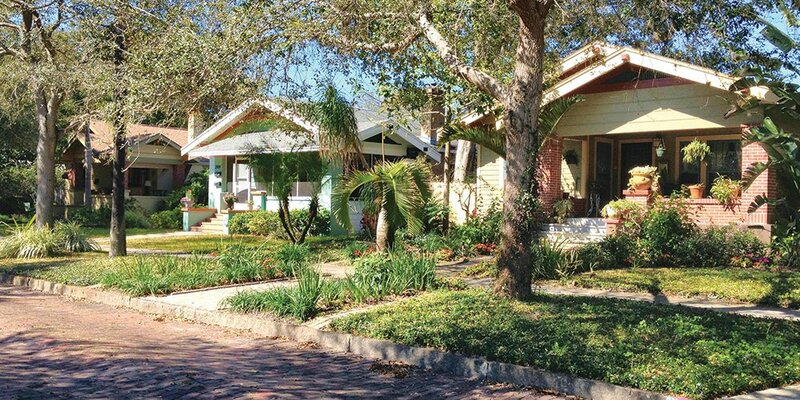 Bungalows represent an important architectural and cultural movement in Florida, which makes walking through the Historic Kenwood district of St. Petersburg a stroll down history lane. Historic Kenwood is like a place that came out of a book – one of those picturesque, dreamy little towns authors describe longingly, where time seems to have stood still and everybody smiles to each other. Historic Kenwood was first developed in 1913 when Charles Hall built 10 houses on Central Avenue. Most of the other bungalows were built throughout the 1920s. The neighborhood community has put great efforts in restoring the bungalows and preserving their authenticity. One of the most immersive ways to temporarily live in this fairytale is the annual BungalowFest during the first weekend in November, but there are also monthly art fairs and events, walking tours and festivals. Historic Kenwood is on the National Register of Historic Places. The Stranahan House may not be a lavish castle, bathed in refined luxury and art, but it’s rich in a different kind of culture – the one of community, kindness, and long-lasting tenacity. After he first came to manage his cousin’s ferry and camp at Tarpon Bend on the New River, Frank Stranahan’s fair business conduct dissolved the cultural boundaries between himself and the Seminole Indians with whom he quickly established a thriving trading business. After a few years, he married his wife Ivy who shared his ability to find a common tongue with the Seminole tribe and taught their children for free. 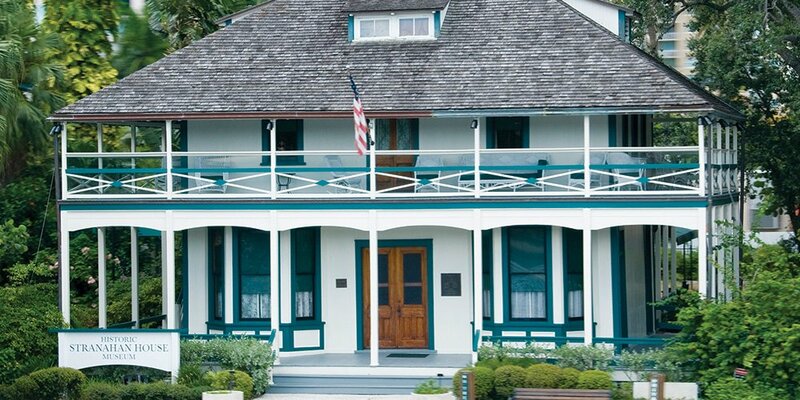 In 1901, Frank built the present-day Stranahan House, which served as a trading post and somewhat of a community center of Broward County. Frank’s business was flourishing, and so was the settlement, which came to be known as Fort Lauderdale. He and his wife were taking up bigger and bigger public projects, pushing themselves and everyone around them forward. But the idyll came to a sudden end, with the collapse in 1926, which drove Frank to bankruptcy, despair, and eventually – suicide. Nevertheless, Ivy persevered. She made ends meet by renting out the house. Eventually, the storm passed, she slowly went back to her activism roots and on to building a legacy of community work, which carried on living long after she stopped. It was precisely this legacy of unadulterated kindness that came back like a boomerang, spurring communal efforts to restore the Stranahan House and turning it into a symbol of the true meaning of community. John Ringling was one of the masterminds behind the circus “The Greatest Show on Earth”. This resounding name is a crystal-clear reflection of Ringing’s personality. He had a thing for grandeur in all its forms, anything that breathes culture with elegance, extravagance, and class. Ringling’s over-the-top personality imagined the Ringling Mansion, exquisitely comprising 5 colossal parts, is the mind- boggling testament to that. Located next to Sarasota Bay, CA’D’ZAN the largest of all was built in 1926 and was the Ringlings’ home, inspired by Venice’s Dural Palace, Ca’D’Oro, and the Grunwald Hotel, which had all left marks in John and his wife Marble’s heart during their regular travels throughout Europe. Being one of the 20th century’s most passionate art lovers and collectors, even a mansion as big as this couldn’t fit his vast art collection. So, he decided to devote an actual museum to his collection. Between all his travels throughout Europe and his dominance at New York’s art auction scene, John acquired an unparalleled amount of art, and The Ringling Museum of Art is where John’s art legacy is the most tangible. It was opened to the public in 1931. The Ringling Museum of the American Circus was the first establishment to honor this offbeat, monumental form of entertainment. With John’s wealth of insider knowledge, the museum offers a closer than any sneak peek from behind the scenes of a performer’s life. It was opened in 1948. Captain John Huling Geiger was a maritime pilot, master wrecker, and one of Key West’s wealthiest men. After a powerful hurricane in October 1846 destroyed almost all homes of the area, he saw an opportunity to cement his and his family’s prominent status in the community by building a spectacular home for them to live in and for everyone else to admire. The house was completed in 1949. The Aubudon House was built in American Classic Revival architectural style and woven with the finest of materials and expertise. But its existence wasn’t always rosy and the home was on the verge of being demolished at some point. 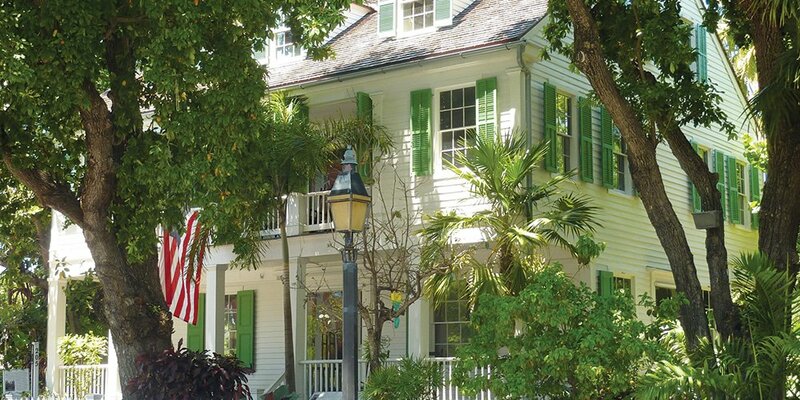 Nevertheless, it was saved by the Waterson family, who refused to let a home like this disappear, sparking a restoration movement in Key West, that began the evolution of the city’s Historic Old Town District. Chicago-born artists Frederic Clay Bartlett and his wife who composed music and poetry acquired a big, historic portion of land on the South Florida oceanfront, between the Atlantic Ocean Intracoastal Waterway. It was where Frederic built the Bonnet House, which he envisioned as the creative space for his and her artistic talents to unfurl. Construction started in 1920, but Bartlett’s daydreams were put to an end in 1925 when his wife passed away. However, the house drew a similar type of women as Bartlett’s second wife, Evelyn Lilly, also had a flair for the arts, but her talent lied in decorating. The Bonnett House flourished and turned into the visionary estate people can lose themselves in today. When Evelyn gave the house to the Florida Trust for Historic Preservations in 1983, her contribution became the largest charitable gift in Florida History. 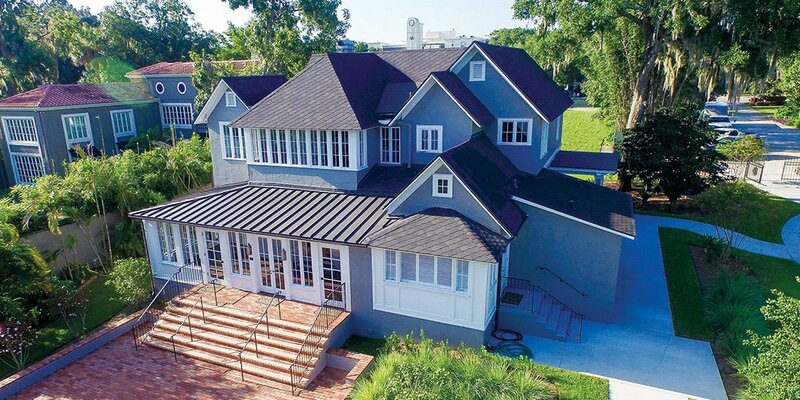 This move not only helped preserve the Bonnett House as a historic and environmental landmark but also allowed it to fulfill the original purposes it was founded on – to be a creative space for artistic expression and learning. The Stetson Mansion is one of Florida’s first luxury estates and is the biggest home built in Florida before the 20th century. It is located about a mile west of Downtown DeLand. The Mansion was built in 1886 for John Stetson, a hat maker and philanthropist. He was an exceptional man whose talents skyrocketed him up to great heights and riches, but his heart kept him firmly down-to-earth. He kept disrupting norms with both his approach to business and people, which resulted in a social circle, filled with other great-minded individuals like Henry Flagler, creator of the Over-Sea Railroad, and the one-and-only Tomas Edison. Such friendships were bound to leave their marks on the house. Edison himself supervised the electrical installation at the mansion, giving it one of the world’s first home electrical systems. Henry Flagler built a private railway spur right to the estate so the finest and most diverse architectural materials could be delivered right on site. Stetson definitely wasn’t a man who would keep a house like this to himself and hosted some of the most prolific parties of the era. Visitors can bask in their afterglow through various tours. Everything about John Stetson’s persona is almost eerily reminiscent of the Great Gatsby. Adding to the mansion’s movie-esque aura is the fact that the Mansion was lost for almost a century and accidentally found by two home renovators who restored it back to its glory. This is a unique historic home on a few different levels. For starters, even though it’s not a caravan, it wasn’t always situated there, and by there, we mean at the Albin Polasek Museum & Sculpture Gardens, which is a spectacular historic home and site itself. James Capen who built the Capen Home in 1885 – the third oldest home in Winter Park, gave a lot to his community. In fact, his generosity was enough to make the people of Winter Park save the house by organizing a heroic relocation. The 200-ton building was cut in half, and its two parts were floated across lake Osceola and then reattached back together, keeping a lot of the original elements intact. It won the 2014 Organizational Achievement Award from the Florida Trust of Historic Preservation. But it’s not just this journey that makes the Capen so unique, but also its final destination. If James Capen and renowned sculptor Alvin Polasek were still alive, they would practically be roommates – the Capen House now shares the territory of the Albin Polasek Museum & Sculpture Gardens, which holds over 200 of its former inhabitant’s sculptures. If walls could talk... Perhaps they might speak to you if you listen closely enough. The preservation of historic homes keeps our history alive and relevant.